A quality winter tire that stops, on average, 6 feet (1.8 m) shorter on snow than a leading competitor (based on internal testing). ** Provides confident traction and strong grip in slippery winter conditions. Directional tread pattern enhances winter traction in the snow. Multiple biting edges help provide grip on roads covered in snow and ice. 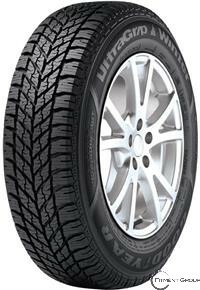 The wide tread grooves help push snow and slush away to provide enhanced winter traction. Strong shoulder blocks promote even treadwear.